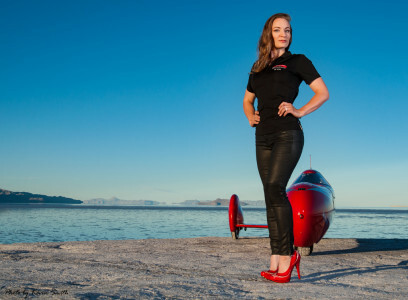 Eva Hakansson – Page 3 – The world's fastest female motorcycle rider! 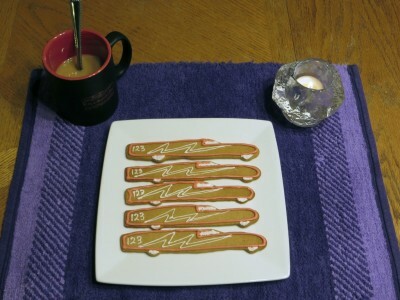 Electric racing is like chocolate without the calories! 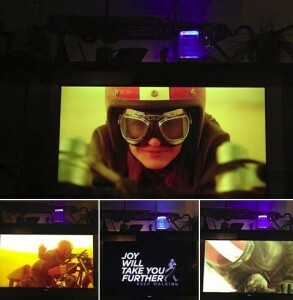 All the good stuff (power and speed) without the bad stuff (noise and pollution)! 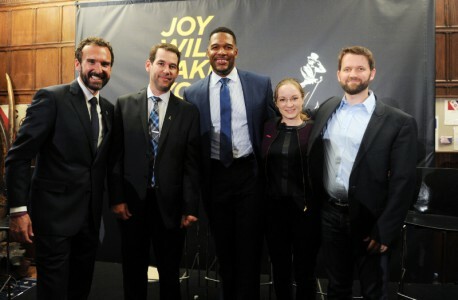 All you want to know about Eva, but were too polite to ask. From the first weld to 270 mph in 5 years! 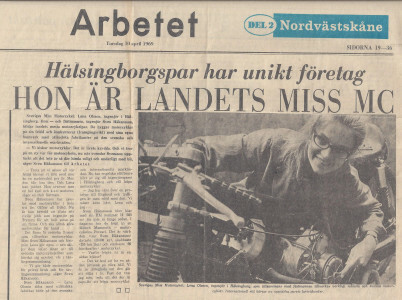 Eva Håkansson holds the fastest ever FIM world speed record for a female motorcycle rider at 248.721 mph (400.278 km/h), with a one-way top speed of 270 mph (434 km/h). 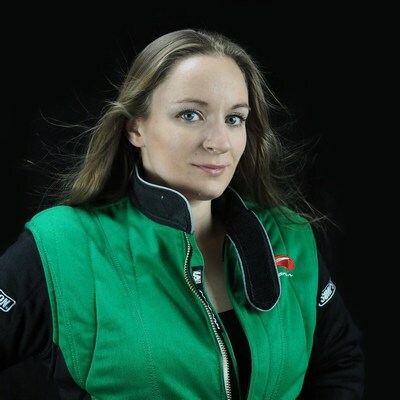 She is a mechanical engineer and the main builder of her electric streamliner motorcycle the "KillaJoule", which also is the world's fastest electric motorcycle. 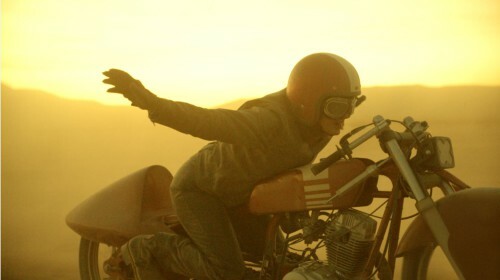 Despite an obsession with everything fast, it is not the need for speed that is Eva's main drive, as strange as it may sound. 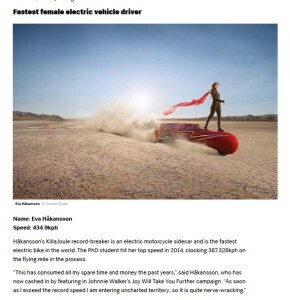 She has a mission in her life: To show that eco-friendly electric vehicles don't have to be slow, and that engineering is a great career choice for women. She also loves building stuff that has never been built before. 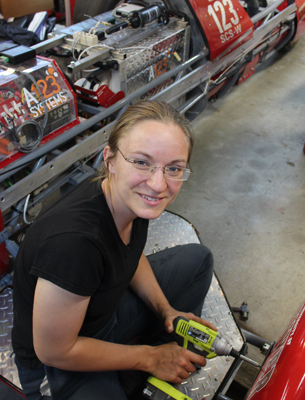 Eva has a PhD in mechanical engineering from University of Denver, Colorado, USA. 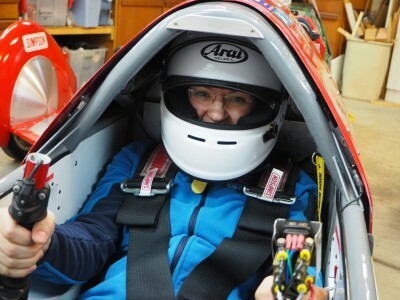 As her day job, Eva teaches mechanical engineering, CAD, and engineering drafting at the University of Auckland, New Zealand.